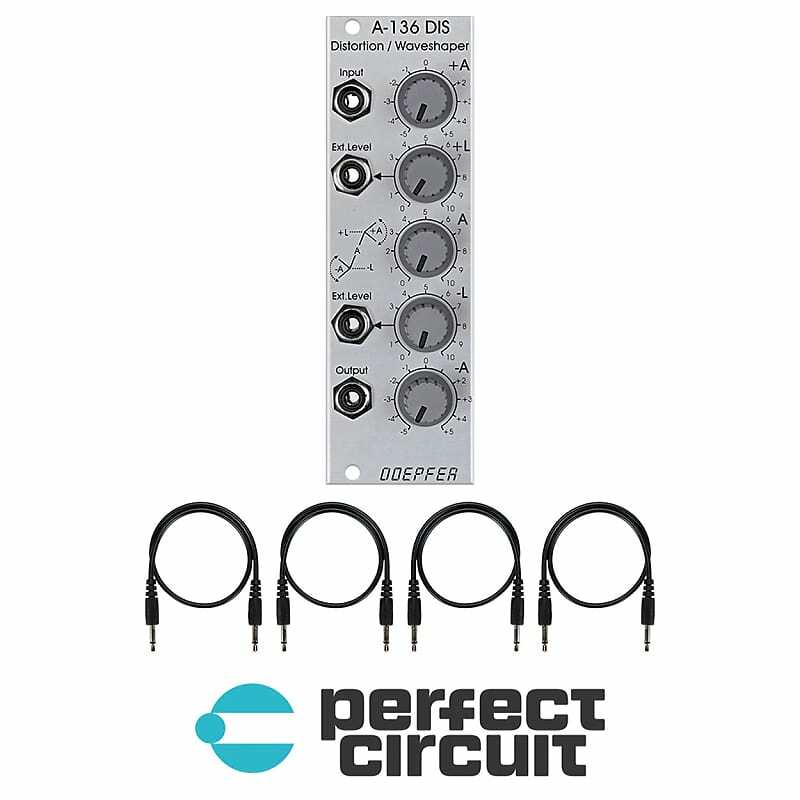 The Doepfer ‘A-136 Distortion/Waveshaper’ is a highly useful Eurorack module for distortion and waveshaping with extensive control possibilities. The incoming audio or cv signal is internally divided into 3 sections including: the positive component of the signal with adjustable clipping level (external control via jack socket) and positive or negative amplification (+/-) of this component, negative component of the signal with adjustable clipping level (external via jack socket) and positive or negative amplification (+/-) of this component, original signal with positive or negative amplification (+/-). Different settings of 5 distortion/waveshaping parameters enable a lot of very complex and extreme waveform modifications. The range of modifications reaches from simple soft or hard clipping to completely altered waveforms where the original signal is no longer recognizable. Possible applications include audio distortion (especially in combination with filters), waveform modification for audio signals as well as for control voltages (LFO, ADSR, random, etc).